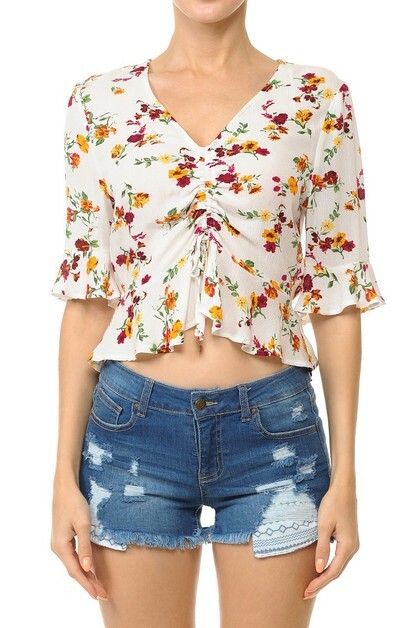 Wholesale crop tops look great with a high waisted skirt or jeans. We have unique styles with details on the sleeves or graphic prints available! Browse through brands like Solid Clothing, Sole Mio, Le Shop, and Listicle for the best selection of cheap high quality crop tops!